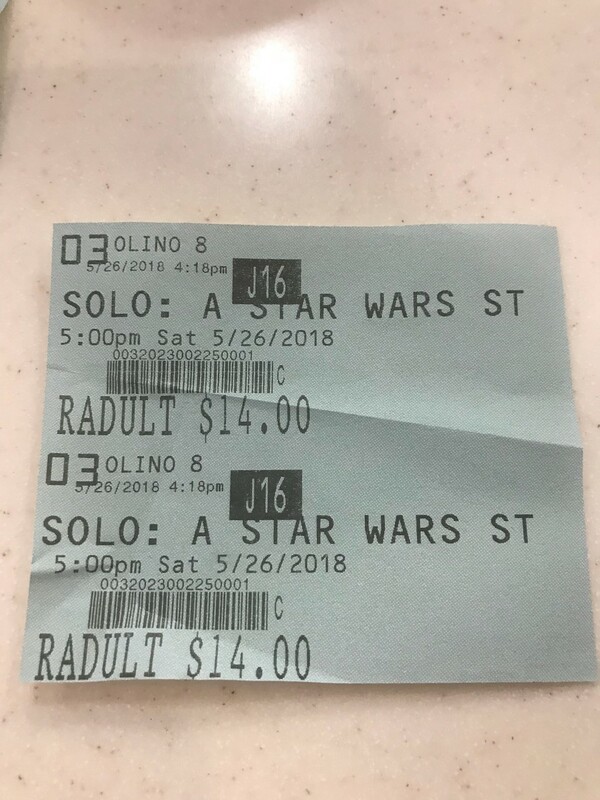 Solo with my 9.95 movie pass. Second movie this month! Gonna see another tomorrow. Best deal going the key is not to buy refreshments.